Done correctly a blog is a competitive advantage to your ecommerce business. If you have expertise to share and are ready for blogging on a regular basis, this is a perfect time to start! 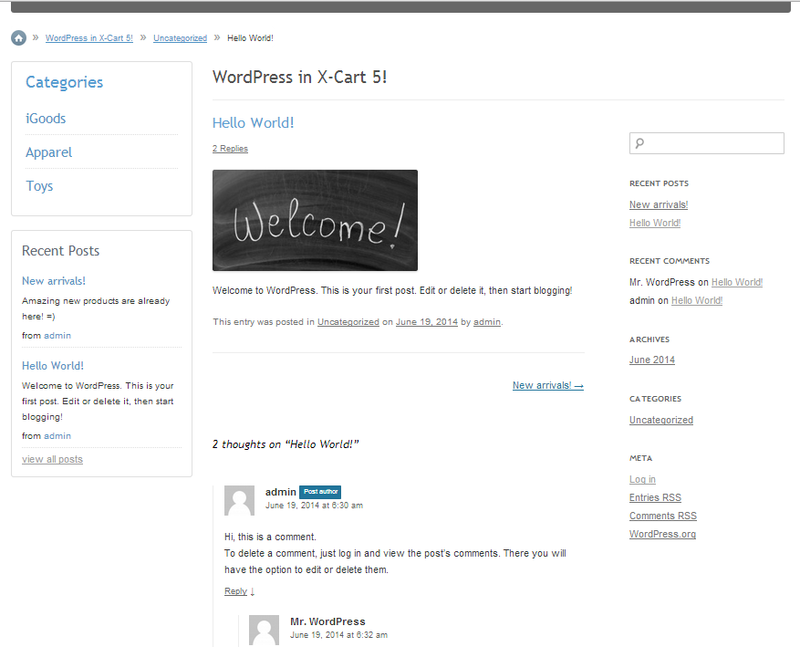 Access WordPress as part of the X-Cart system. 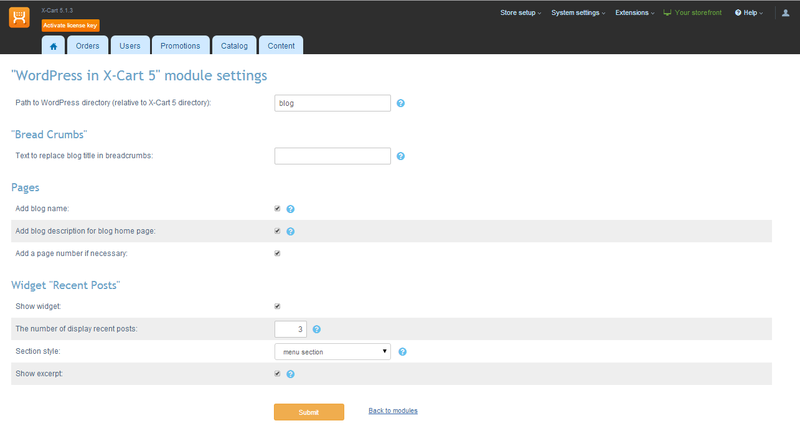 Use the same login and password for both X-Cart and WordPress. 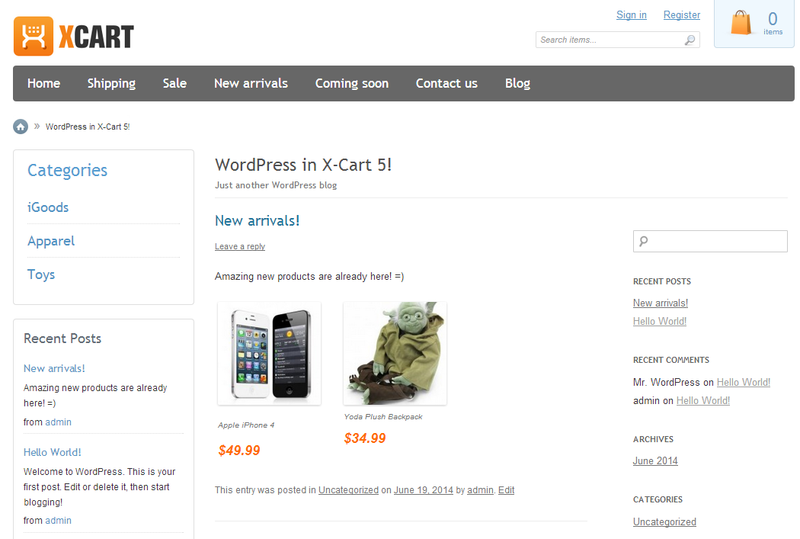 Mirror the design of your X-Cart site on your WordPress blog. Adapted for the responsive layout. The full power of the most known blogging software in the world right in your X-Cart store.